Just like Joël and Levi, Philippus was a son of Jacob van de Rhoer and Vogeltje Levi. He was (just like his brothers and sisters born at Staphorst) on the 4th of April 1882. His occupation was butcher, but at the beginning of the War he had stopped working. Philippus was married to Johanna Cohen who was born in Meppel on the 23rd of September 1886. They had two children: Vogelina, born on the 6th of July 1911 but who died on the 22nd of July, and Simon, born on the 21st of July 1914. 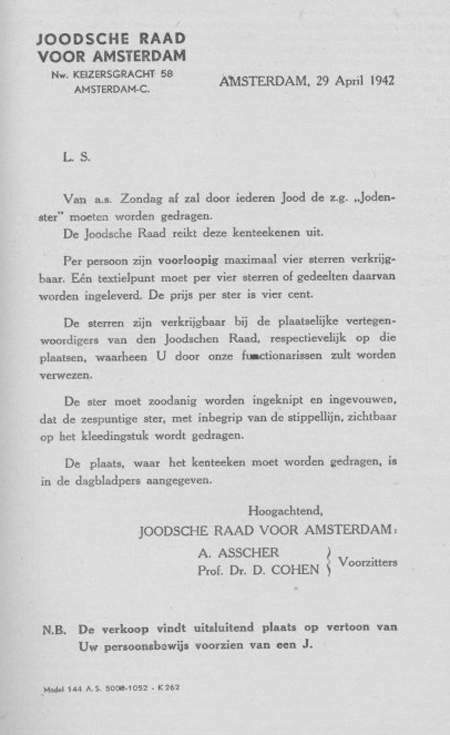 A few years later, Johanna died in Groningen on the 4th of February 1920. Was she seriously ill and was she in hospital? We don’t know. Philippus never married again, but moved during the war from 29 Jan van Galenstraat to his cousin Henderina Cohen’s house, on Keizersgracht, in the centre of the town. Notice that the Jews had to wear a Star of David on their clothing. Philippus van de Rhoer was also obliged to do so. 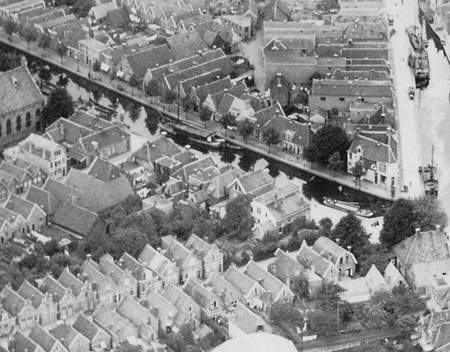 He was one of five inhabitants of Meppel who was sent to the labour camp in Vledder on the 31st of July. From there, around the end of September, he was transported to Westerbork and on the 5th of October, he was taken to Auschwitz in cattle trucks, together with 2011 other Jews. He died on the 8th of October. For the sake of completeness: their son Simon, who no longer lived in Meppel, died in Ludwigsdorf, Germany on the 21st of February 1944.